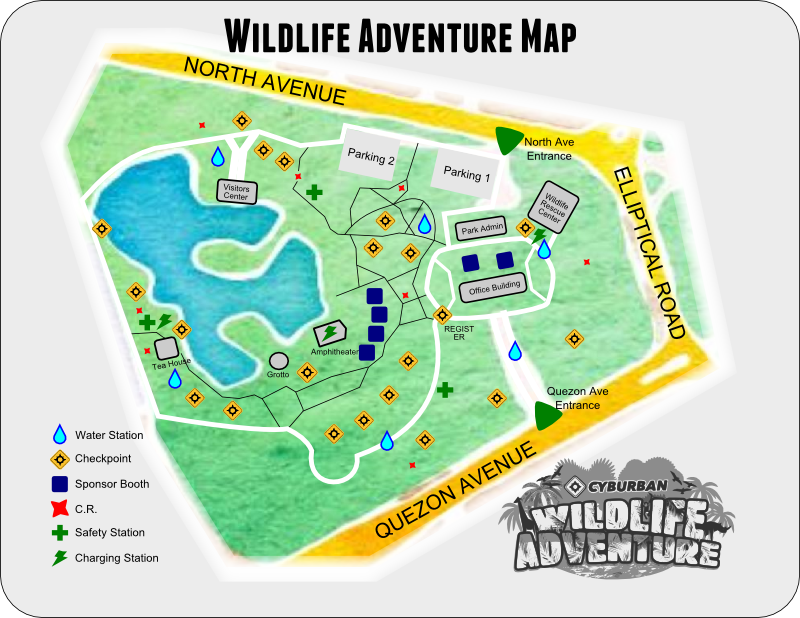 Join the first of its kind app-based adventure race, the Cyburban Wildlife Adventure, on June 28, 2015 (Sunday) at 7am to 2pm at Ninoy Aquino Parks & Wildlife Center. It's 4 hours worth of competitive challenges that will take your team around the 22.7-hectare park. Test your strength and endurance with physical challenges from Crossfit Halcyon. Play memorable childhood games like Shato and Patin. Solve puzzling riddles and go on a wildlife scavenger hunt that will test your patience and resilience. First aid checkpoints from Argonix EMS will test your emergency preparedness aside from providing safety and medical services during the whole event. By joining this Wildlife Adventure, you are helping Greenpeace's campaigns to equip us with the necessary skills and knowledge to be able to contribute for a greener and better environment, not just for our wildlife, but also for our own future. Cyburban will be your companion to complete this one-of-kind epic outdoor journey. Scan codes, complete puzzles, and locate challenges through the app. There will be fun and exploratory challenges that will help us shape our physical, mental, and social capabilities to battle against indifference towards the environment and our wildlife ecosystem. 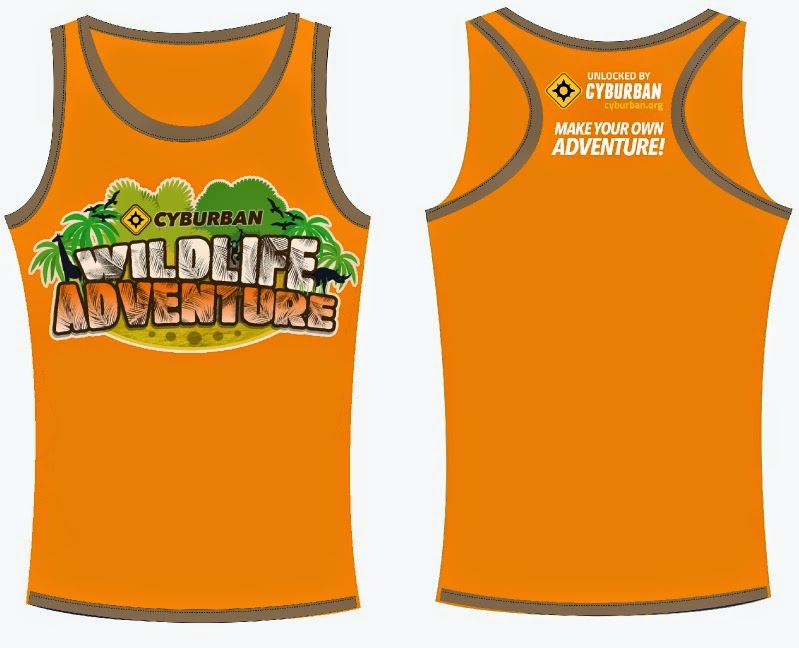 WHAT YOU GET: Wildlife Adventure singlet & badge, waterproof mobile pouch, first issue event magazine, lifelong memories to tell your grandchildren. WHAT ELSE: Bring your own water bottle to support zero-waste practices. Aside from a minimum of one Android or iOS phone, no other special equipment are needed for the challenges. You are encouraged to wear protective gear for your own safety. Each team is a group of 2-3 players. Teams will be divided into waves. Game Orientation starts at 7:30AM sharp. Game starts at 8AM sharp. Physical & non-Digital Checkpoints will end at 1PM. Game officially ends at 2PM. You may opt to complete Digital Challenges until 4PM. There are Water Stations, Charging Stations, and Medical Stations around the venue. This is not a race or a run. No need to be extremely competitive. This is an adventure game. Have fun and enjoy! There will be special prizes for secret categories. There will be prizes that can be found on some checkpoints.